Black Mini Pot Chalk Paint Wax - formally known as Soft Wax - (120 ml) (enough to cover 2 chairs) This is the smallest size of wax available. COVERAGE: A mini wax pot should cover about 80 to 100 sq ft of one application. Used to give a cool, dark finish to your paintwork, bring out texture in brushwork and mouldings, as well as darken and enrich colours. 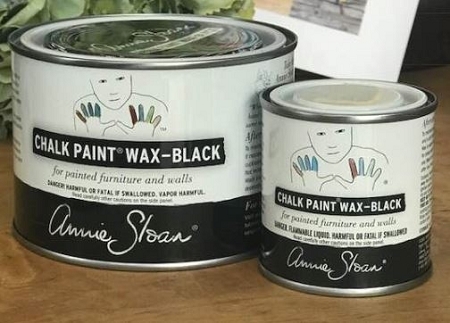 Annie Sloan Black Chalk Paint® Wax gives a cool, dark finish to your paintwork, bringing out texture in brushwork and moldings, as well as darkening and enriching colors. 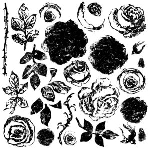 Where Dark Soft Wax 'antiques' pieces, Annie Sloan Black Chalk Paint® Wax toughens them up! 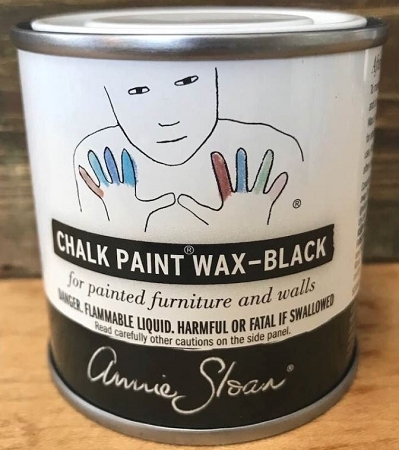 See Annie Sloan Black Chalk Paint® Wax by clicking HERE. To age and give texture to your paint. Apply the Clear Wax first then apply the Black Wax. Here is some additional information I would like to share in case you are wondering if you could use another type of wax- like Briwax. First- never use Briwax. It has an ingredient called Toluene in it. Which is awful! Briwax is terrible with Chalk PaintÂ® decorative paint by Annie Sloan. Basically the toluene works as sort of paint stripper! We are sorry – there are NO RETURNs when it comes to wax. To ship wax- we go through an extensive certification process through the Department of Transportation, Federal Government. As for the paint- there are no returns/exchanges either...... You will find this for every stockist. Think about it- would you ever want a quart of paint sent to you - that was shipped to someone else prior? We eliminate any potential issues with this policy.